Groton, CT – BauerFinancial, the Nation’s Premier Bank Rating Firm, is proud to announce that Chelsea Groton Bank has once again secured its highest, 5-star rating. A 5-star rating indicates the bank excels in areas of capital adequacy, profitability, asset quality and much more. By earning and sustaining this top 5-star rating for 97 consecutive quarters, Chelsea Groton Bank has also procured a “Top 10%” designation. This means that Chelsea Groton Bank has maintained Bauer’s highest rating consistently for longer than 90% of the industry. Like Bauer, regulators agree that smaller institutions “are often better positioned than larger institutions to understand and quantify local real estate market values since they serve a smaller, more defined market area,” according to the Federal Register. 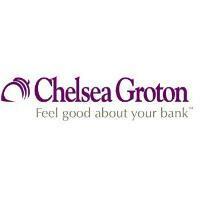 Established in 1854, Chelsea Groton Bank has been investing in the future of its community for 164 years. Today it operates through several conveniently located offices throughout New London County, a loan production office in Hartford County, and can also be found online at chelseagroton.com.